Early Autumn eLiquid by VapeSafe captures the essence of Autumn no matter what season it is. Early Autumn eLiquid is flavourful combination of apples and cinnamon. As with all of the VapeSafe eLiquids, our mixtures are designed to produce nice, heavy vapours and the most succulent flavours. Try Early Autumn eLiquid today! Tastes significantly matter for cigar as it matters for wine. It is all right if have already found cigar own choice and taste. But, it does not mean that you could not check out other brands. Huge popularity of cigar has flourished a many companies and also formed numerous stories all along. Cuban cigar is one of the most famous brands but controversy and ban has bigger role here in its popularity. 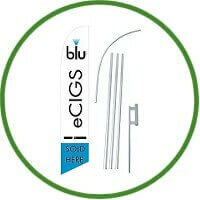 Experts suppose that quality of filler and brand name both together form an identity for the cigar. These experts also accept that few cigar crazies smoke famous cigars because it is about their prestige issues not the taste. Now, in consecutive context, here comes a name ‘Honduras’. It is a virtual Mecca for avid cigar lovers. It is believed that it is a place where tobacco seeds go to make their parents proud. Hurricane devastation, political diversity, and human rights violations; together made this country the poorest one in Central America. But, the fortune of this country turns when its adjacent countries feel the need of tobacco. It is the place where they first knock the door. Historical facts suggest that there was substantial numbers of inflow of expert cigar makers from Havana with the permission of Castro’s government, around the year 1960. So, certainly Honduras tobacco has Cuban roots. Natural climatic condition in Honduras also encourages cigar production. Due to favourable condition, Honduras cigars use to be flavourful, full-bodied, strong, and in possession of a heavy aroma. Once, Cuban cigars were unanimously supposed the king of the cigar market. 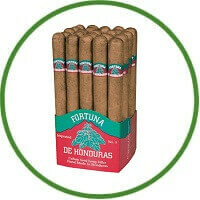 But, after the entry of Honduras cigars, everybody accepted it as a quality competitor for Cuban’s. Growing reputation as quality cigar makers provided a fantastic opportunity to the country to rebuild its past destruction/turmoil. Flourishing cigar business undoubtedly strengthened the country’s economy and still it is continued. However, Christopher Columbus already “discovered” country’s prosperity in lived history, even the tale behind country’s name is so romantic.